Computer simulation using MRI scans of children is the only possible way to determine the microwave radiation (MWR) absorbed in specific tissues in children. Children absorb more MWR than adults because their brain tissues are more absorbent, their skulls are thinner and their relative size is smaller. MWR from wireless devices has been declared a possible human carcinogen. Children are at greater risk than adults when exposed to any carcinogen. Because the average latency time between first exposure and diagnosis of a tumor can be decades, tumors induced in children may not be diagnosed until well into adulthood. The fetus is particularly vulnerable to MWR. MWR exposure can result in degeneration of the protective myelin sheath that surrounds brain neurons. MWR-emitting toys are being sold for use by young infants and toddlers. Digital dementia has been reported in school age children. A case study has shown when cellphones are placed in teenage girls’ bras multiple primary breast cancer develop beneath where the phones are placed. MWR exposure limits have remained unchanged for 19 years. All manufacturers of smartphones have warnings which describe the minimum distance at which phone must be kept away from users in order to not exceed the present legal limits for exposure to MWR. The exposure limit for laptop computers and tablets is set when devices are tested 20 cm away from the body. Belgium, France, India and other technologically sophisticated governments are passing laws and/or issuing warnings about children’s use of wireless devices. Background: Progressive macular hypomelanosis (PMH) is a cosmetically disturbing skin disorder that is poorly understood with indefinite treatment. 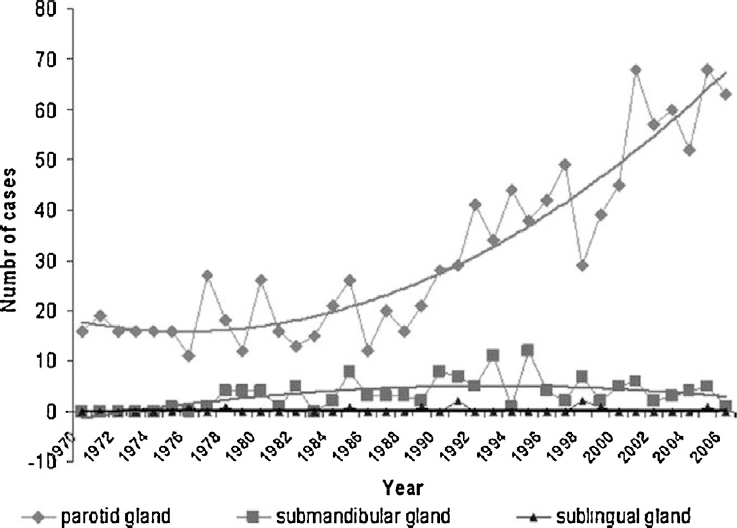 The aim of the present study was to clinically outline PMH and study its pathogenesis. Based upon the literature suggesting improvement of PMH with antibiotic therapy to decrease Propionibacterium acnes (P. acnes) colonization, different treatment modalities were tried to reach the best treatment option. Patients and methods: This study included 12 newly diagnosed PMH selected patients who attended Tanta University Hospital outpatient clinic of Dermatology and Venereology from June 2009 to March 2010. Patient’s lesions were subjected to wood’s lamp and potassium hydroxide (KOH) examination as well as biopsies used in histological, immunohistochemical, bacteriological and electron microscopic examination. A randomized clinical trial with different treatment modalities was applied. Results: The patient’s mean age was 25 ±10.8 with significant female predominance (P=0.0001). Reduction of epidermal melanosomes and tyrosine activity together with difference in distribution of S100 proteins in hypopigmented skin was demonstrated. Abnormal distribution of tonofilaments was noticed inside keratinocytes with increased apoptosis. P. acnes were detected in hair follicles of 83.3% hypopigmented lesions. Administration of local and systemic antimicrobial treatment with narrow band ultraviolet B (NBUVB) phototherapy for 3 months was the best treatment modalities. Conclusion: The etiology of PMH is multifactorial where genetic predisposition, the presence of P. acnes and hormonal imbalance play the main role. Administration of local and systemic antimicrobial treatment with NBUVB phototherapy for 3 months is an effective treatment regimen for PMH. 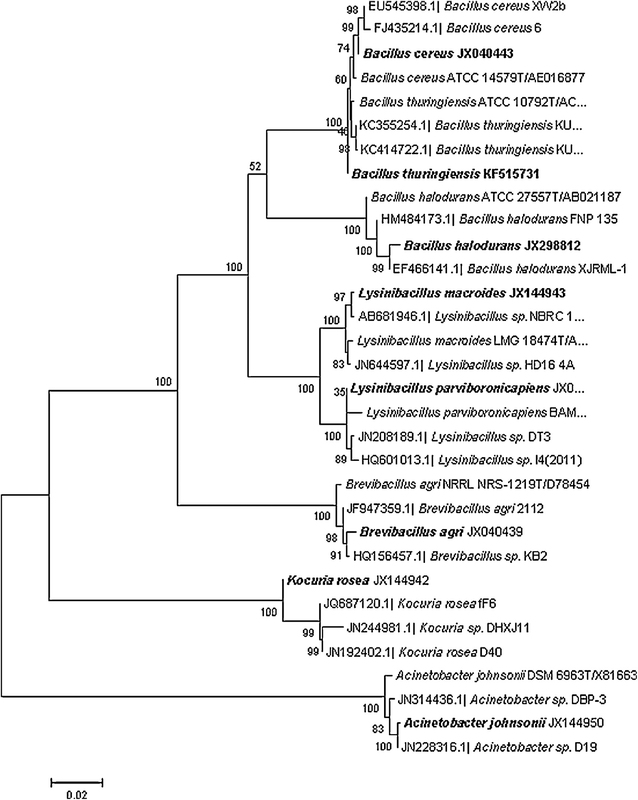 The ultrastructural morphology of calcium carbonate (CaCO3) crystals precipitated by eight culturable speleothemic biofilm bacteria associated with not-so-far explored caves of Meghalaya were studied using electron microscopy. The isolated bacteria under in vitro conditions precipitated CaCO3 in the media when supplemented with proper calcium source which was not the case in dead cells suggesting that calcification required metabolic activity in the speleothemic environment. Scanning electron microscopy revealed the presence of various polymorphs of calcite distinctly different from inorganic CaCO3 crystals. The polymorphic crystals ranged from filaments and rods associated in large clusters with mineral crystals to spiky needle. The results endorse the hypothesis that the isolated bacterial species contribute to active biogenic influence in the process of cave formations in the hypogean environment. Phe–Phe nanotube internalization in Chinese hamster ovary (CHO) cells is imaged through the transmission electron microscopic (TEM) study. Size-selective separation of peptide nanotubes (NTs) is of great value when we think about its application in biocompatible drug delivery. This paper describes a simple size-selective separation protocol for separating Phe–Phe NTs. During the synthesis, it is commonly observed that peptide NTs are formed with a range of sizes in their width and length and hence easy separation techniques of NTs are essential. Removal of the monomers from NTs is also important. Microscopic imaging of peptide NTs is also important in this context and particularly when these are used in the diagnostic and therapeutic purposes. Herein, we report a straightforward size-selective separation of peptide NTs by size exclusion chromatography (SEC) and imaging the fractions through TEM, confocal, and deconvolution microscopic techniques. Here, we report, for the first time, use of deconvolution fluorescence microscopy to detect NTs. As commonly used photo microscope cannot resolve the images of very small particles (e.g., less than micron scale), electron microscopy is widely used in imaging of NPs. Hence, systematic peptide NTs separation followed by these characterization techniques provides an option to study the internalization of NTs inside cells. Intake of peptide NTs inside cells is promising for their use in drug delivery as well as in imaging study. Indian toad, Bufo melanostictus is an amphibian, which is able to change the body color to adapt to its ambient need. This ability is due to specialized skin pigment cells known as melanophores which are excellent animal-cell models to study most of the physiological phenomenon related to color changes. 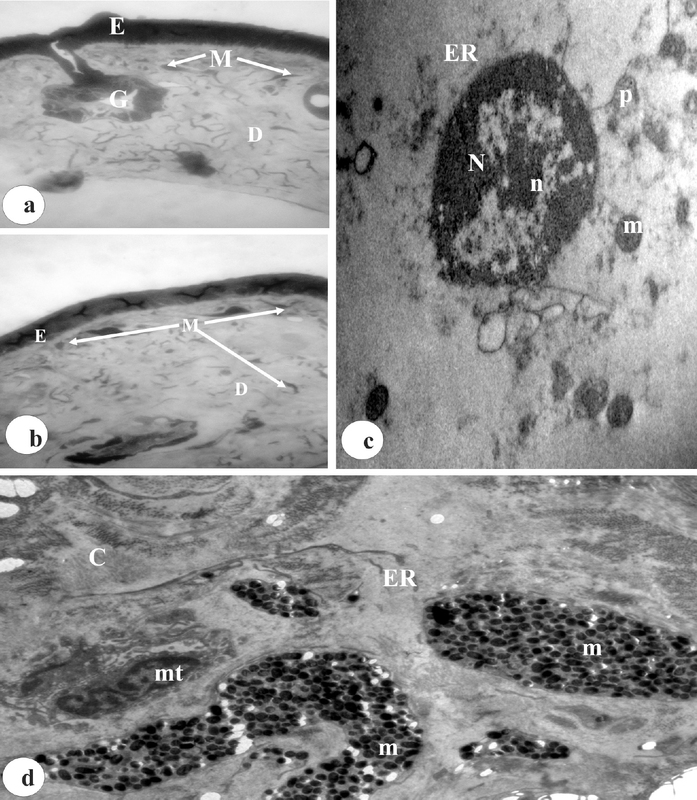 In the present investigation morpho-anatomic details of dorsal skin melanophores of B. melanostictus were studied by means of light and electron microscope to establish their phylogenetic relevance with other vertebrates. Light microscopic observations revealed that toad skin contains dominantly present black pigment cells, the melanophores in its sub epidermis while dermal melanophores are rare. The ultrastructure of the melanophore is characterized by oval nucleus and numerous pigment granules, the melanosomes which remain scattered in the cytoplasm. Other sub-cellular organelles like mitochondria, well-developed tubular endoplasmic reticulum and Golgi vesicles were also found to be present in the remaining cytoplasmic area. Toad melanophore contains four distinct stages of melanosomes which are similar in development pattern to the mammalian melanocytes. These findings indicate that toad melanophores contain phylogenetically significant information of anatomical similarity with lower as well as higher vertebrates which can help to better understand the inter relationships between vertebrate pigment cells and their role in skin dysfunctions. The relation between room temperature impact toughness and fractal behavior of the fracture surfaces of SAF 2507 super duplex stainless steel, aged between 0 and 288 h at 475 °C, has been studied. Fractography was performed in a scanning electron microscope and the fractal dimension was determined according to the slit island method. A monotonical decrease in fractal dimension was observed as the time of aging increases from 0 to 288 h. For the entire range of aging times, a complete transition from ductile to brittle behavior was observed as the impact toughness decreases from 284J(0-24 h) to 43 J (288 h). 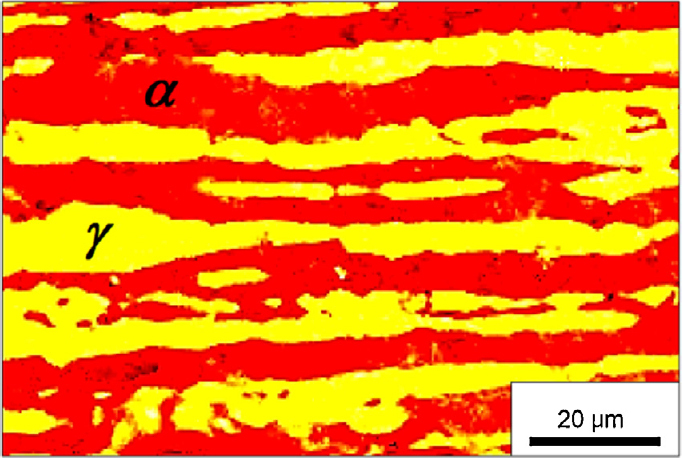 Ductile fracture occurred by nucleation growth and coalescence of micro-dimples, while the brittle behavior was characterized by the propagation of cleavage cracks in ferrite, controlled by plasticity of the surrounding austenite. Partially based on several previous concepts and relationships well established for brittle materials, a direct linear correlation between impact toughness and fractal dimensional increment has been developed. The concept of critical volume of material is proposed and tentatively related with the unstable crack propagation event, through both, the so called critical length (microstructurally significant distance) and the size of the largest micro-dimple and cleavage facet (structural parameter) developed in ductile and brittle fracture respectively. Histological and topological architectures in the mucosal epithelium of the stomach of Mystus vittatus, Liza parsia and Oreochromis mossambicus were studied. The mucosa of the sac like stomach of M. vittatus was made up of superficial epithelium and gastric epithelium. The superficial epithelium was made up of single layer of columnar epithelial cells while the gastric epithelium was composed of gastric glands. In L. parsia the mucosal epithelium of the gizzard like stomach consisted of single layer of columnar epithelial cells but gastric glands were totally absent. 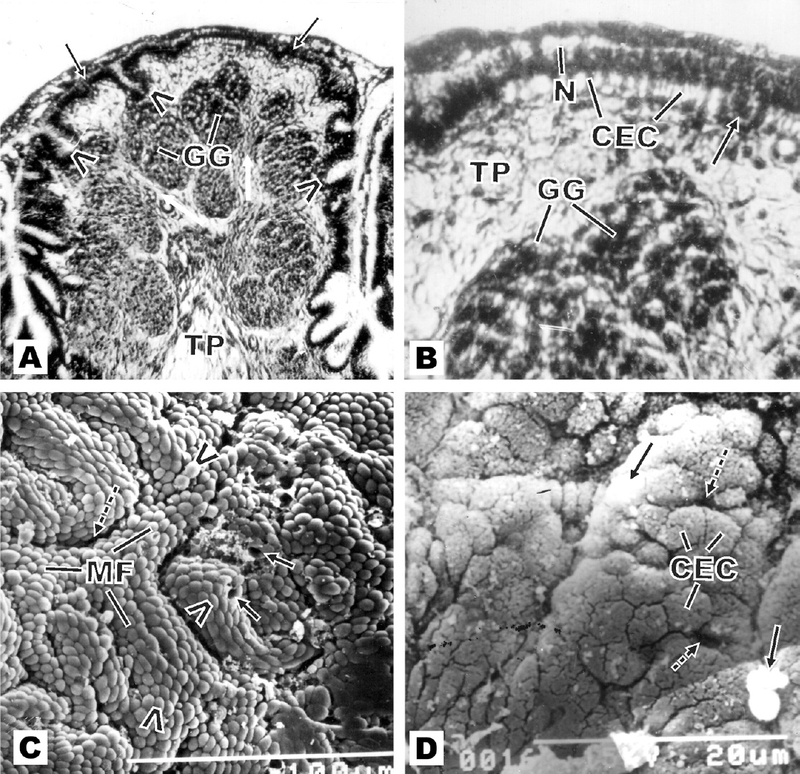 The caecal like stomach of O. mossambicus was made up of superficial columnar epithelial cells and tubular gastric glands. The topological characteristics of the entire mucosa of the stomach of M. vittatus, L. parsia and O. mossambicus were provided with mucosal folds forming empty concavities. However, the concavities were comparatively deeper in O. mossambicus. The mucosal surface of stomach also typified with columnar epithelial cells whose apical surfaces were provided with short and stubby microridges in M. vittatus and L. parsia while in O. mossambicus the microridges were fine and delicate. Physiological functions of the stomach of aforesaid fishes were discussed.